I find some issue with the way I used ND filter and like to note an update to the post. In the video, I sticked ND filter at the back of the gimbal to temporarily store it while not using. However I later find out that sticking magnetic filter near the gimbal motor while it is turned on will affect its horizontal balance. So if you want to keep your gimbal leveled, don’t stick the magnetic filter at the back while OP is turned on. But if you want to tilt the horizon by your creative choice, this might be a little trick. You can also control how much and which direction the horizon to tilt with the way you stick the filter at certain angle. I somehow bought ND filters from two different brand. Many people already use Freewell. Freewell is about $19.99 per filter and Sunnylife is about $7 per filter. Interestingly thay are quite different in size. Hardly imagine they both are same OP filters. The reason that Sunnylife is big is it cups around the gimbal head. 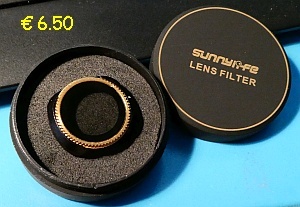 Because of it, Sunnylife filter is quite easier to put it on and off and rotate the CPL ring. However their build quality is not so fancy. Not that it is rough enough to scratch something but has glue stain here and there. Freewell is much more quality build compair to Sunnylife. Also very small but a bit tricky to handle. It also has interesing choice. Like this ND1000. Great for daytime long exposure time-lapse. And their interesitng clear night filter. This one cuts down the light wave-length from the street lamp and gives sharp night shot. Tried few nights but still need to figure things out where it would be the best use for. So I went out to test which ND number should I use for bright daylight. I usually bring only 1 filter sticked on OP without filter case. Unless I plan to shooting specifically difficult light condition. As an optical quality, I don&apos;t really notice much difference. But Freewell is more well made for sure. Hello and good day Tide. 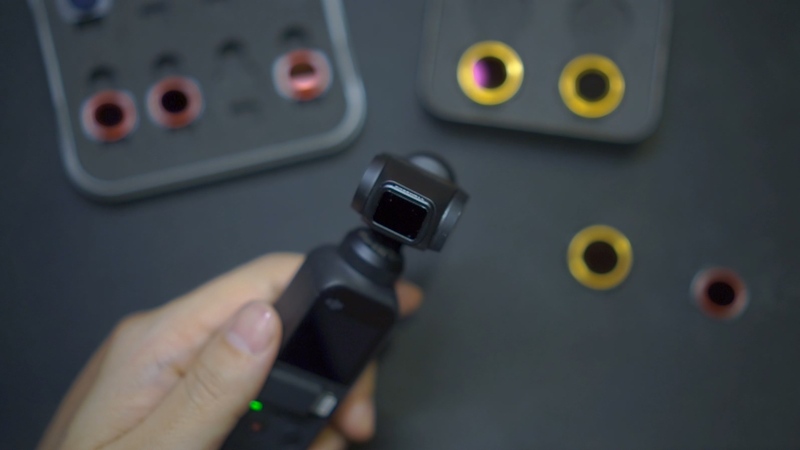 Thank you for sharing these photos and this video regarding the DJI Osmo Pocket ND Filters and thank you for your support. Great video and review! I like your idea of carrying a second filter on the back of the gimbal! Many thanks! It is a small tip but quite handy while shooting. So which brand do you use more? 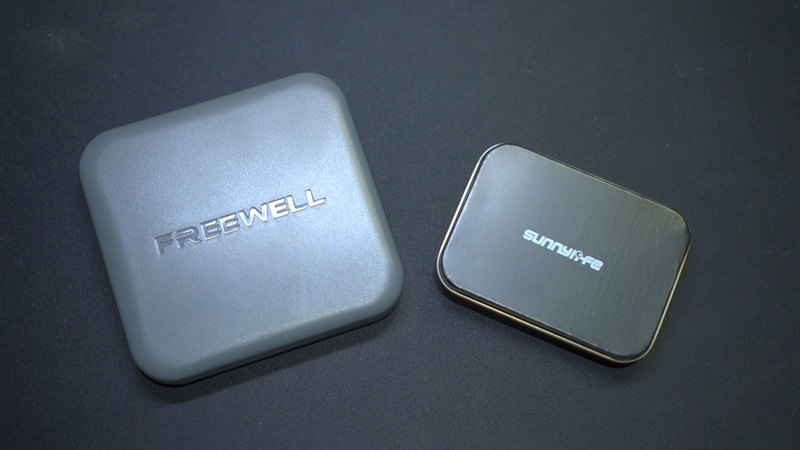 I like the better build quality of Freewell more but bringing Sunnylife more often. I guess because its bigger size makes me confident not to drop or lose it. Nice compare, Tide! I use only cpl filter, for me this is enough. I will definetely avoid cheap filters. You spend 360€ or 1.500€ on a drone to get amazing 4K video and then put a crappy quality glass in front of athe lens and save 30€... does it worth it? Noone can tell if my photos were made with an expensive or cheap cpl filter. If someone drives a luxury car for $ 1.200.000,00 - he needs gasoline for $ 999 per gallon ? I&apos;ve been shooting professionaly for +20 years and I can GUARANTEE that you will see many differences using a cheap filter compared to an expensive one. Flaring and ghosting, oleophobic and hydrophobic properties, color casting, fitting, coating or multicoating vs non-coating, etc. it seems that you have very low standards for whatever images you produce. And the answer to the weird car analogy is yes, if you have a 1.200.000€ Supercar and you want the best performance out of it, you will have to use special fuel. Actually you don&apos;t even need to go that expensive, the new Dodge Demon has a High Octane fuel mode that does exactly that. The cost varies from 85$ to 120$ compared to your average unleaded. Say hello to Tinker Bell from me. I found some issue with the way I shared using ND filter and like to make an update on it. In the video, I sticked ND filter at the back of the gimbal to temporarily store it while not using. However I find out that sticking magnetic filter near the gimbal motor while it is turned on will affect its horizontal balance. 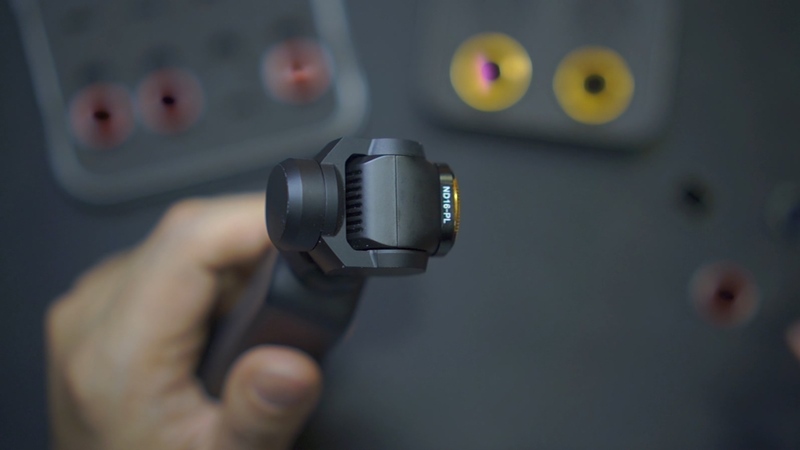 So if you want to keep your gimbal leveled, don’t stick the magnetic filter at the back while OP is turned on. But if you want to tilt the horizon by your creative choice, this might be a little heck. You can also control how much and which direction the horizon tilt with the way you stick the filter at certain angle. So basically, lower fps means the Shutter Remains open for longer intervals within the same given time. 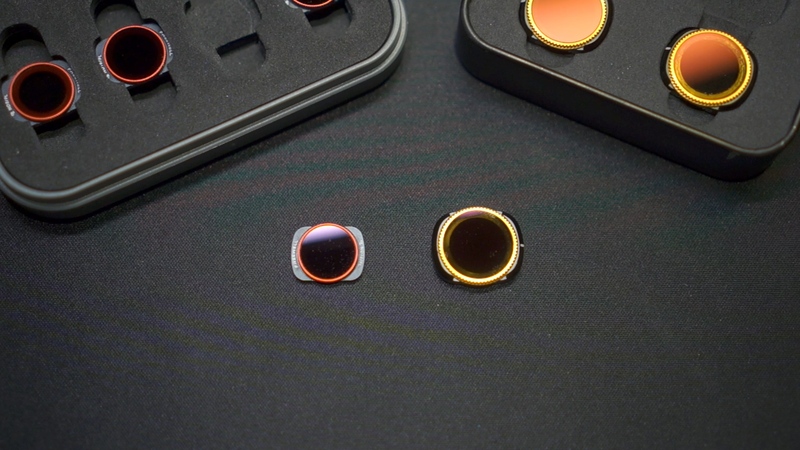 the camera will take 24 frames for every second, so every frame will leave the sensor exposed for 0.041 seconds. At 120fps, 0.0083sec, that means that the lower your frame rate, the higher the ND filter you will need to compensate for the amount of light hitting the sensor. In practical applications, you might find yourself in a situation where the highest ND you have is not enough to bring the Shutter Speed to your required level, just bring the fps higher to cut some more light and you can later edit your footage in a 24fps timeline for that Cinematic look (if you don&apos;t mind slowing your footage!). You are right, Shutter speed shoud be a deciding facter not FPS. In the video I showed the screen recording that I was setting shutter speed at the double of each FPS so I didn&apos;t metion it in the caption. 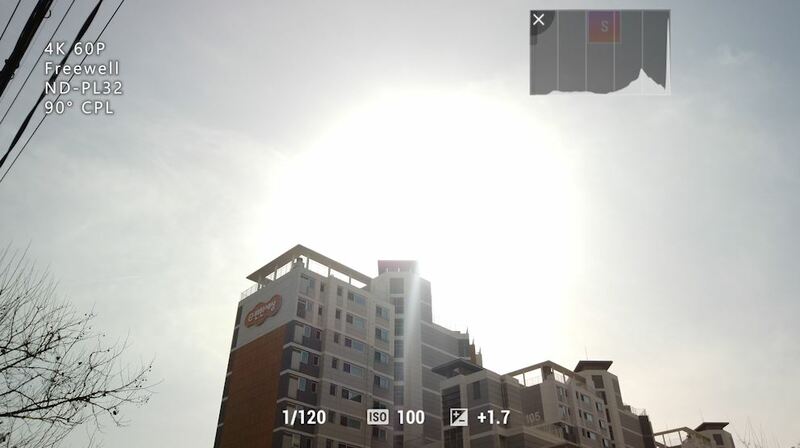 Also my choice of filter is for sunny day at its brightest as I tested. I do carry tripod and camera bag when I go out just for shooting (usually at night after the work) but most of the day light, I usually capture in between the work. So OP actually earn me a lot of shooting time that was not possible before. Good to know, hope it helped. I thing during Spring / Summer time you can get away with carrying only one filter on the OP (ND32) and having one spare on you (ND64). Yes that is the idea. Thanks for the help. Here in Korea, it is freezing winter and day is short. I can hardly wait for spring to come. Not really understand the chart why higher shutter speed as the ND number goes up? Isn&apos;t the purpose of ND filter exactly the opposite? It depends on the fps. With faster frames per second the shutter remains open less time therefore the image will be darker. In photography when using ND filters we usually take 1 shot and adjust the Shutther Speed to get the proper exposure. As I wrote before, at 24 fps every frame takes 0.041 of a second, at 120fps it is 0.0083sec for each frame so the video darkens.